This 5-tier Wicker Basket Candy Display brings elegance and sophistication to your Store. This display has 5 natural wicker baskets that are 18 in. W x 12 in.D x 4 in. H and are removable for easy restocking. 10.5" height between baskets. 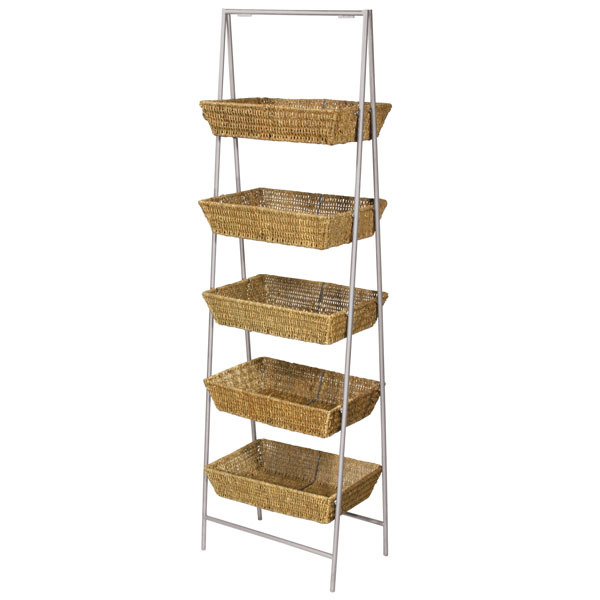 Baskets set on a silver metal frame. Some assembly required.